Dr. Viper feeding his monster. From the deleted, now restored, scene in The Giant Bacteria. Last edited by Kooshmeister on Thu Dec 17, 2015 6:01 pm, edited 1 time in total. Dear, dear Dr. Zyme. We hardly knew ye, but you're still cute. Vincent Diagoras, who I've decided was also a devotee of Dark Kat, considering the purple crime boss a demon lord. He was associated with him back when he was Deputy Mayor Balcus (in my continuity), and provided him with a lot of his occult stuff in return for promises of power and godhood, the two having met in college. 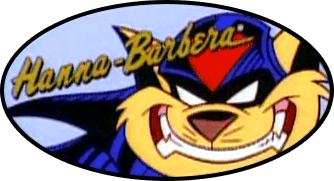 However, following the events of The End of the SWAT Kats!, Diagoras has since abandoned worshiping him in favor of throwing in with Governor Clawstone and his cult. He still leads an ostensibly lawful public life as a professor of occult practices who frequently collaborates with Dr. Sinian and donates to the museum from his own personal collection, having burned his bridges with Balcus/Dark Kat long ago. His connection to the Governor helps him immeasurably and he is as hopelessly devoted to Clawstone as he was to Dark Kat. The guards at the front gate of the Megakat Nuclear Power Plant. They're famously seen at the beginning of The Wrath of Dark Kat attempting to ward the Doomsday Express off with their dinky little pistols. Later, they're glimpsed in The Ci-Kat-A, shooting at the alien (in fact I believe they're attempting to help Razor), but it disables them with its shriek before globbing Razor up. 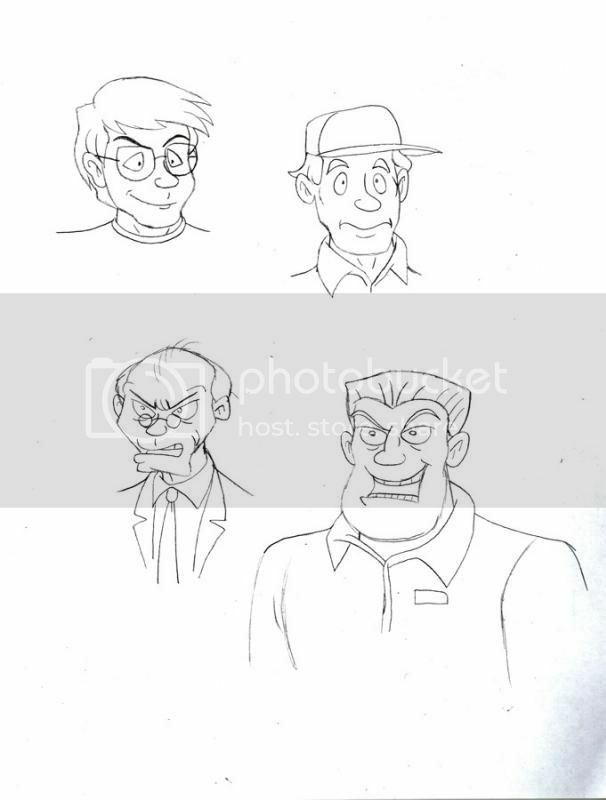 More attempts at human SWAT Kats characters, primarily grouped by episode and mostly relegated to supporting characters and one-shots. 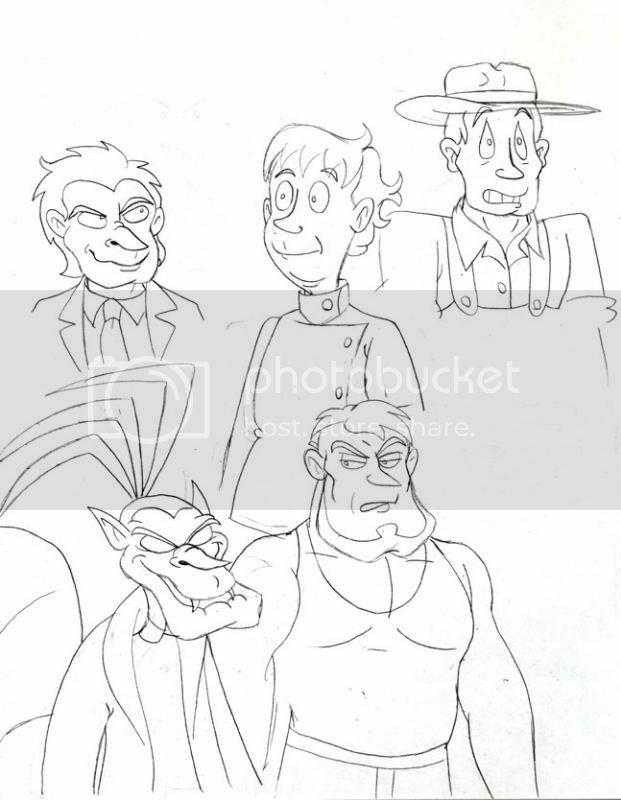 Dr. Viper, Dr. Zyme, Morbulus, the farmer and an unmutated Elrod Purvis from The Origin of Dr. Viper just for comparison's sake. Despite the fact his hair was colored the same as the rest of his fur, Morbulus would look odd with a shaved head (to me) so I gave him hair on top but not the sides and back. 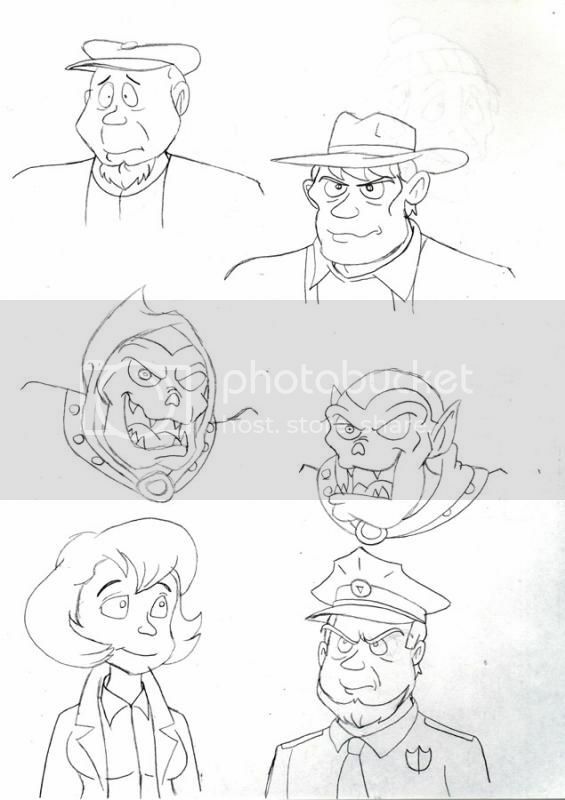 Pre-robot Mac and Molly, with Professor Hackle, Katscratch, Fango and three mobsters. 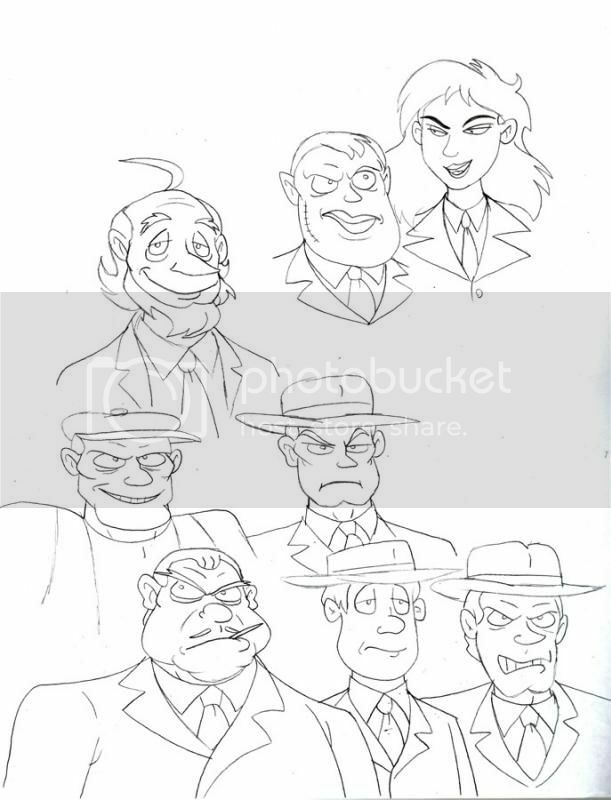 For the unnamed mobsters, I decided the "clone" look (where they recycled the same character model) wouldn't do, so I took the liberty of making each individual mobster... well, an individual. 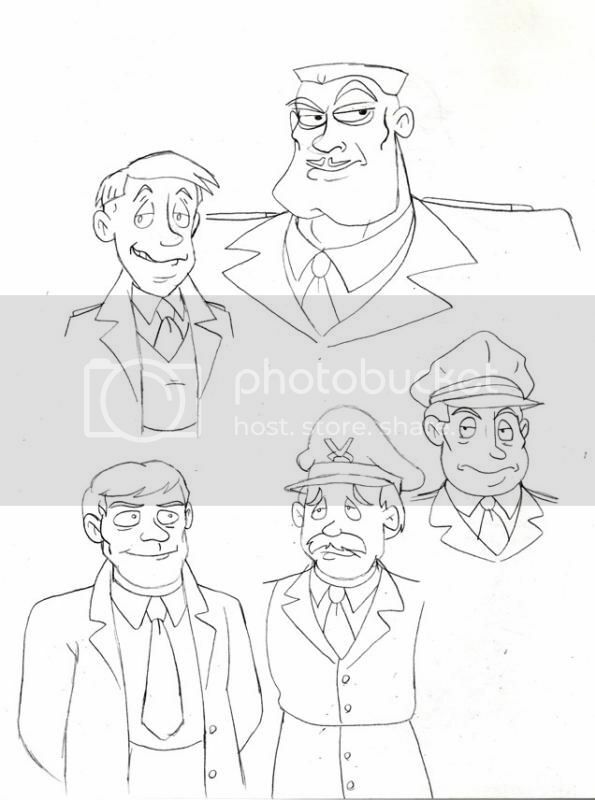 Each one utilizes at least one or more traits I noticed among the base mobster character model in the episode. 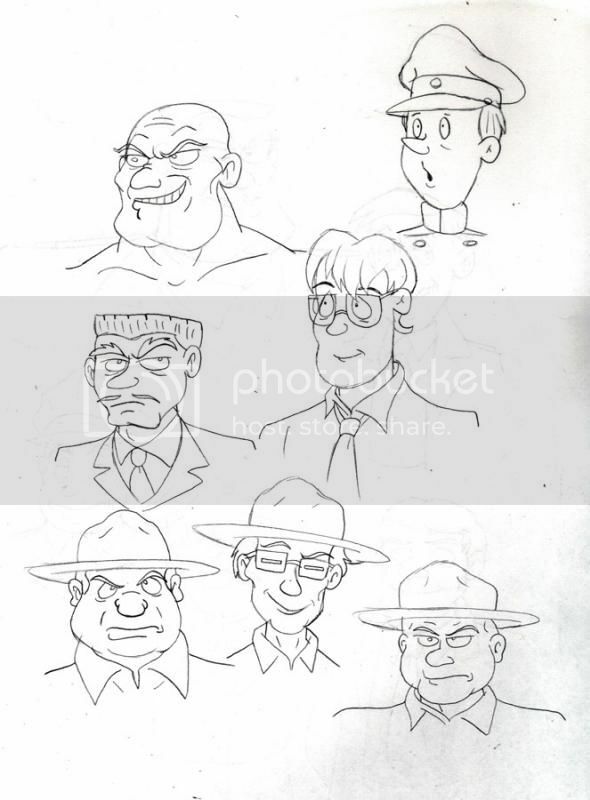 Shard, Warden Meece, Dr. Greenbox, Talon, Lem, a prison guard and the chauffeur. I decided Shard would look pretty cool with a shaved head, giving him a "skinhead convict" look. I had fun emphasizing Greenbox's strong jaw and broad shoulders which seem to intentionally clash with his "nerdy inventor" character type. The chauffeur I gave an upturned nose and tiny little eyes so he'd appear slightly stuck-up, and also to call to mind his swept-up cheekfur. These were just train-of-thought doodles, not particularly following any episode grouping. We have Feral and Steel, the Sergeant and Dr. Street and a MASA guard from The Ci-Kat-A. I'm not sure I like how the guard turned out, but everyone else, I think I captured well, particularly Steel's kinda Nazi-like haircut (shaved at the sides and back) and Feral's "high and tight" Marine Corps style crewcut. Street I wanted to be very broadly built and tough-looking so he'd appear like a friendly tough guy before being possessed, and be physically threatening afterward. Dr. Sinian, the Pastmaster, the Pastmaster with his hood down, Jack, Tom and the museum guard. Jack looked like he may have a little goatee so I gave 'im one, same with the guard, weirdly. 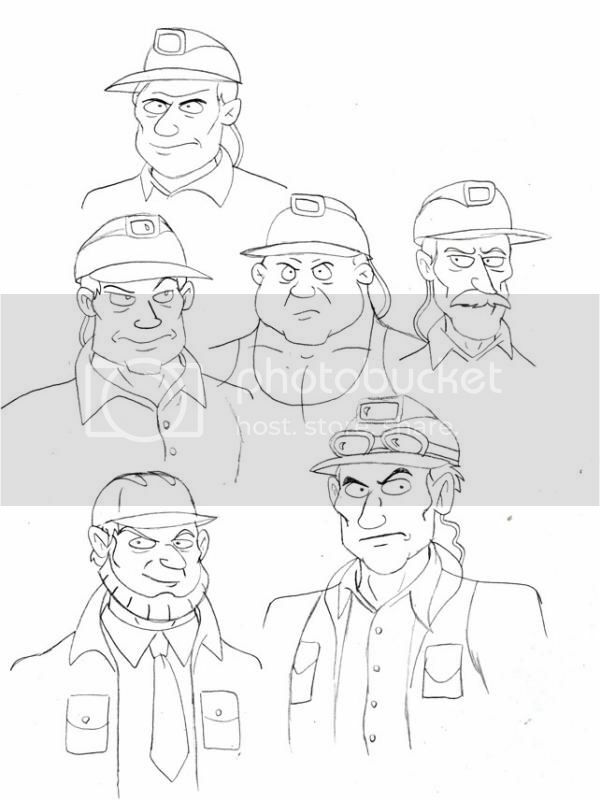 Tiger Conklin, Taylor and all four nameless agracite miners. 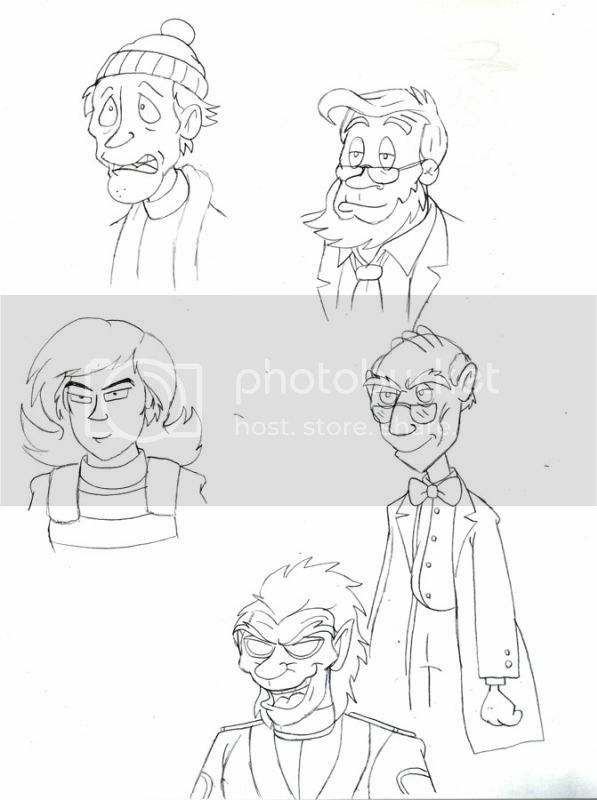 Felina, Dr. Konway and the homeless guy from Mutation City, and Chopshop and Dr. Ohm from SWAT Kats Unplugged. Randall and Henson from The Deadly Pyramid and Lenny Ringtail and Katzmer from Enter the Madkat. A scene from my fanfic, Whatever Happened to Dr. Zyme?, a hypothetical sequel to The Giant Bacteria where Zyme survives and winds up Viper's prisoner.